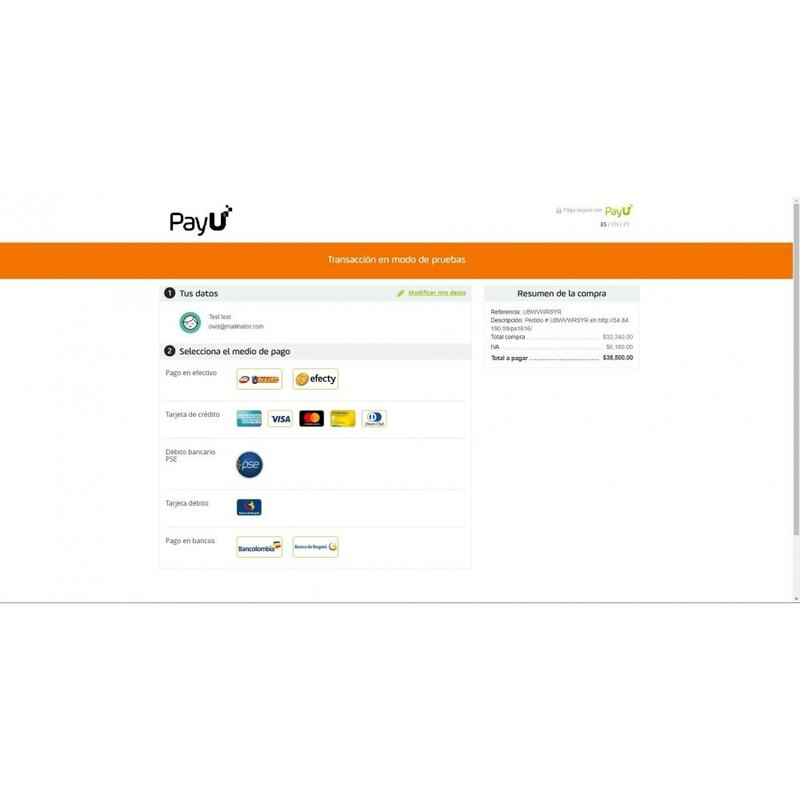 Receive payments with PayU (www.payulatam.com), from different countries like Colombia, Argentina, Chile, Peru, Panama, Brazil and Mexico. Payments with credit cards and cash. 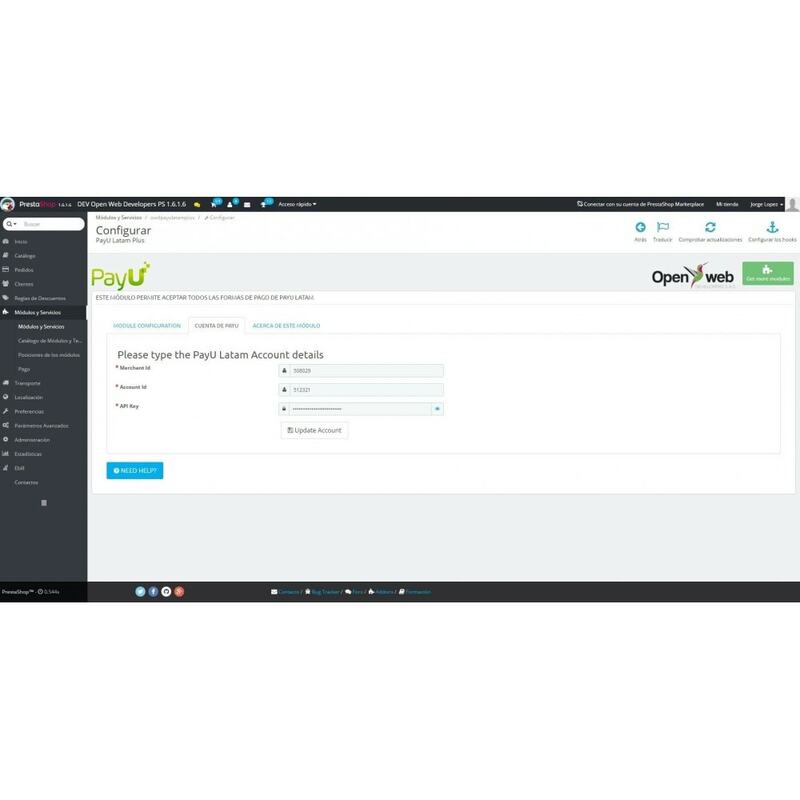 Advice of payment are fully integrated with PrestaShop and updated correctly states transactions. Verify that the settings for the proper functioning PrestaShop plugin and not lose sales configuration error. 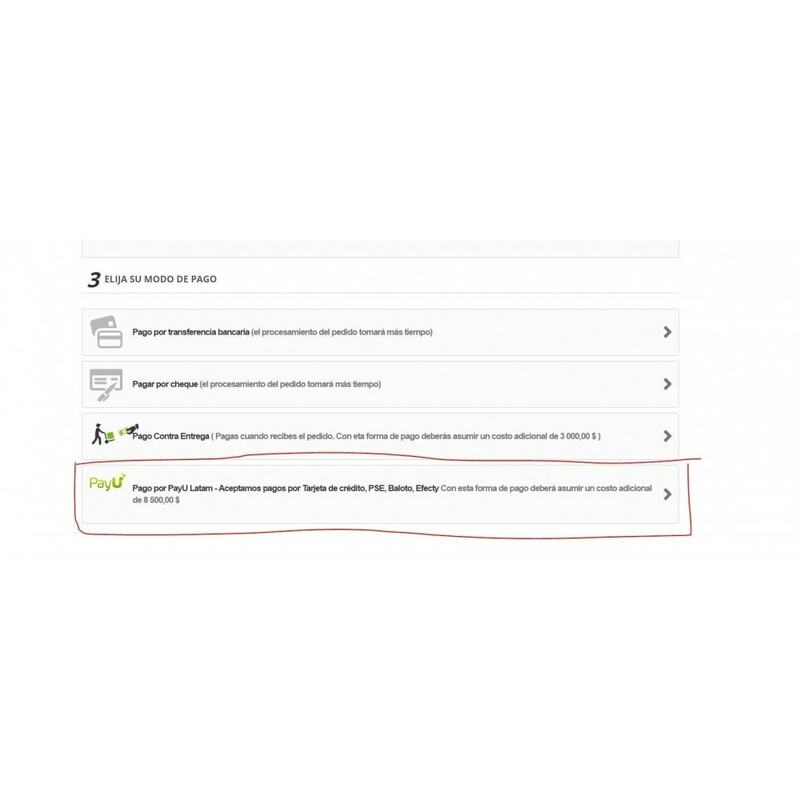 Before installing, check that you have a state created for transactions with Pagosonline usually creates the status "Pending in PAYU Latam"